In all seasons, this sprawling green space offers up ample opportunities for visitors to connect with nature. Follow the winding free-form beds in the English Garden or study one of the bronze statues created by master sculptor Dr. Leo Mol. For something a little livelier, the Lyric Theatre boasts over 30 free live events during the Park’s Summer Entertainment Series, while winter enthusiasts can take a skate on the duck pond or cross country ski along groomed trails. 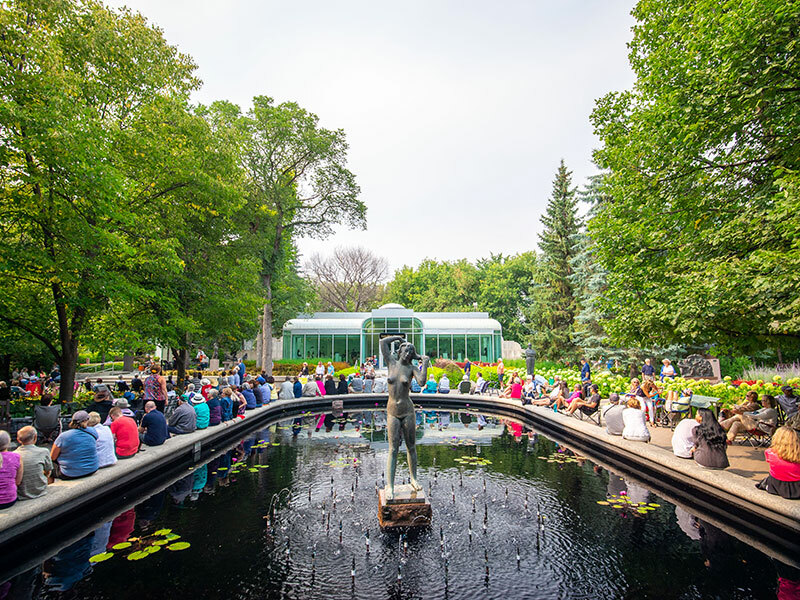 Gain a better appreciation for what this iconic area of Winnipeg has to offer. On the first Friday of every month Exchange District shops, restaurants, and galleries open their doors for unprecedented public access. 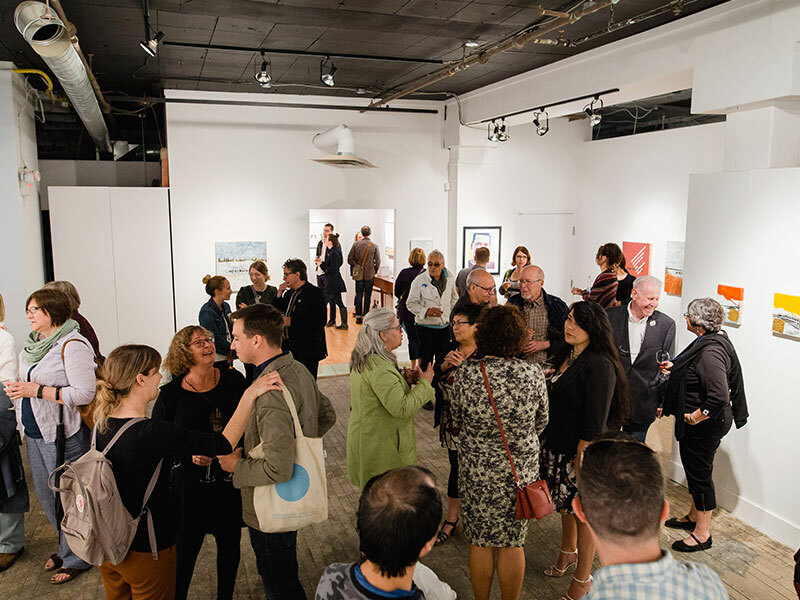 Talk to an up-and-coming artist about what they’re creating, find your new favourite small-plate restaurant, or just explore the stores set along the walkable 20 square blocks of this thriving arts community. 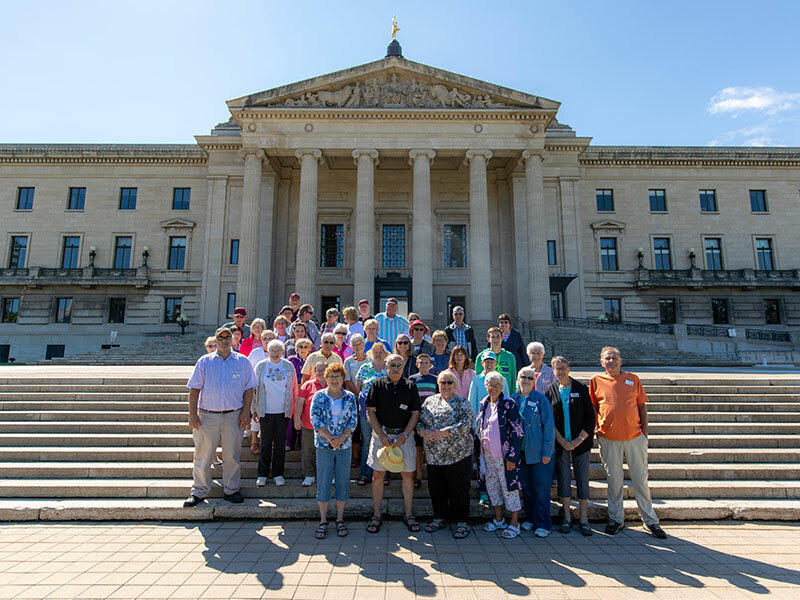 The Manitoba Legislative Building is where history, politics, and mystique intersect. Designed by a Freemason architect, the building boasts many secrets hidden in plain sight; just take a long look at the roof. Visitors are welcome to take a self-guided tour, or book a free guided experience to gain deeper insight into the legislative process and history of this iconic building. Grab some snacks, a blanket and enjoy a cinematic experience like no other. 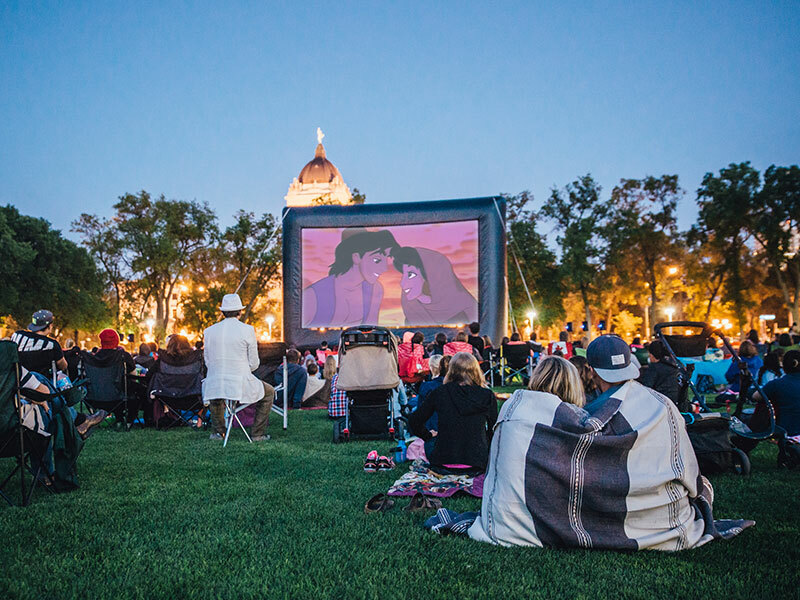 Set in the heart of downtown Winnipeg, Movies on Memorial transforms Manitoba’s smallest provincial park into a free outdoor theatre set under the stars. Hosted by Downtown Winnipeg BIZ, movie goers are treated to everything from Oscar-winning flicks to 90s classics to family favourites. 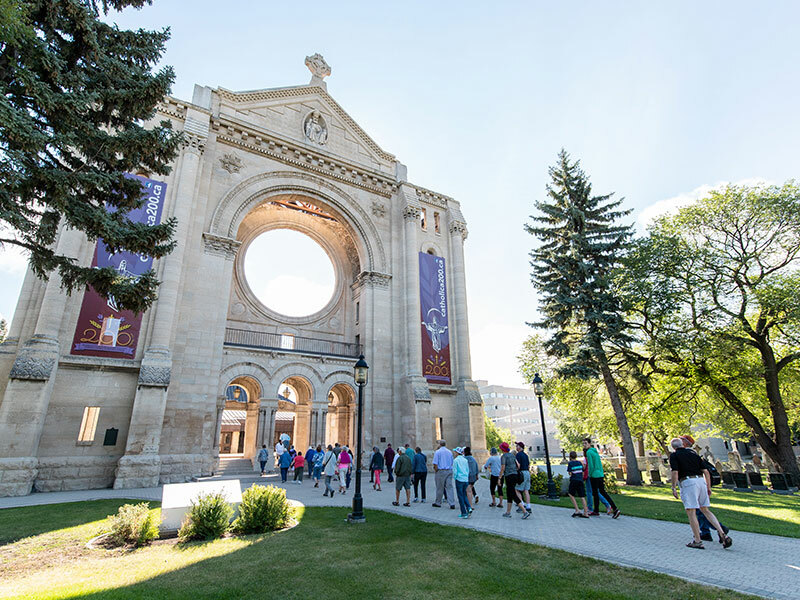 Originally built as a small log chapel, the St. Boniface Cathedral-Basilica is now a major architectural symbol in St. Boniface, home to one of the largest francophone communities west of the Great Lakes. The cathedral incorporates the sacristy, façade, and walls of the former basilica, which burnt down in 1962. This Manitoba Heritage site also boasts Western Canada’s oldest Catholic cemetery and is the resting place of Métis leader Louis Riel, the founder of Manitoba. Theatrical guided tours through the cemetery gives learning about the French Canadian and Métis heritage an exciting twist. Learn about Winnipeg’s neighbourhoods from the people who know them best. 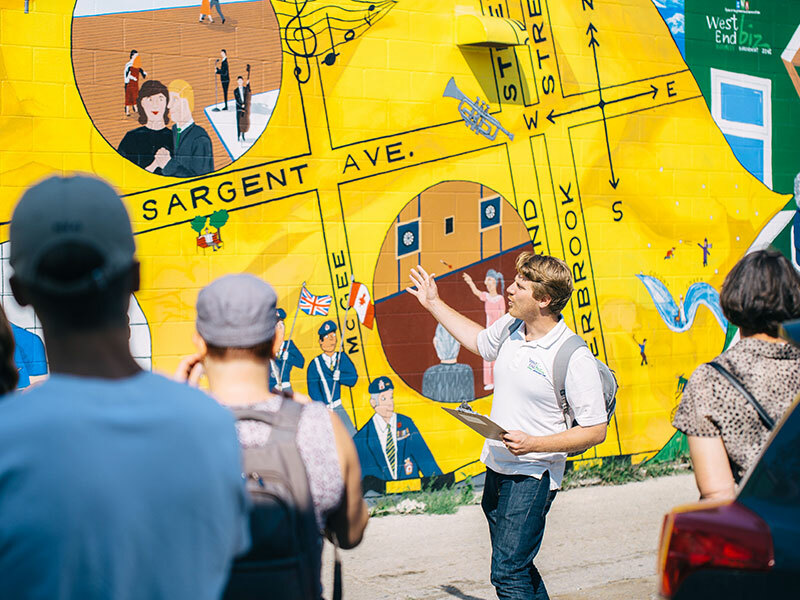 The West End BIZ paints a colourful picture taking tour groups through the outdoor murals that dot the urban landscape. Step back in time with the Exchange District BIZ’s walking tours of this National Historic Site which features an exceptional collection of heritage buildings built between 1880 and 1920. While the Downtown BIZ serves up an exceptional collection of tours that showcase the flavours the heart of city has to offer. 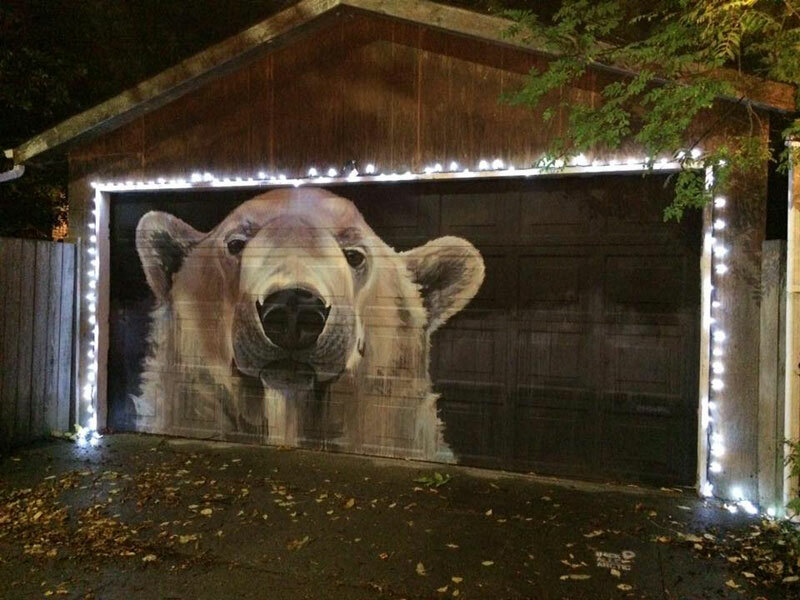 Uber-popular local artist Kal Bartesky, whose scripts and Arctic animal renderings can be found throughout the city (including a great deal of polar bear tattoos), has painted 100 Arctic animals all along the garage doors that dot this back alley in Wolseley. On a self-guided tour (ideal as a leisurely stroll) you can encounter all these magnificent murals – which include depictions of narwhals, belugas, seals, wolves and polar bears – in the alleyway that spans Canora and Ethelbert Street, between Westminster and Wolseley Avenues. Known as the birthplace of Winnipeg, Upper Fort Garry Provincial Park merges historical preservation, art, and technology to honour the fort’s heritage. Stand under the arch of the fort’s 168-year-old gate, the only structure to have survived the fort’s dismantling, then use the Upper Fort Gary app to explore more stories and structures from the Park’s past. 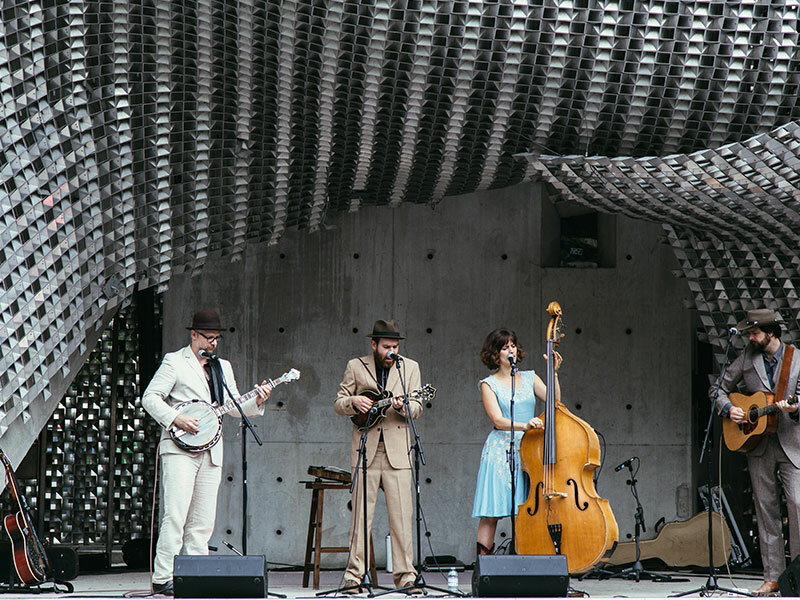 This history comes to life along the 400-foot steel Heritage Wall which uses light and sound to illustrate episodes of Manitoba’s thousand-year history. Take a summer stroll along the Assiniboine Riverwalk which follows the curves of the Assiniboine and Red Rivers from underneath the distinct Esplanade Riel all the way to the foot of the Manitoba Legislature. 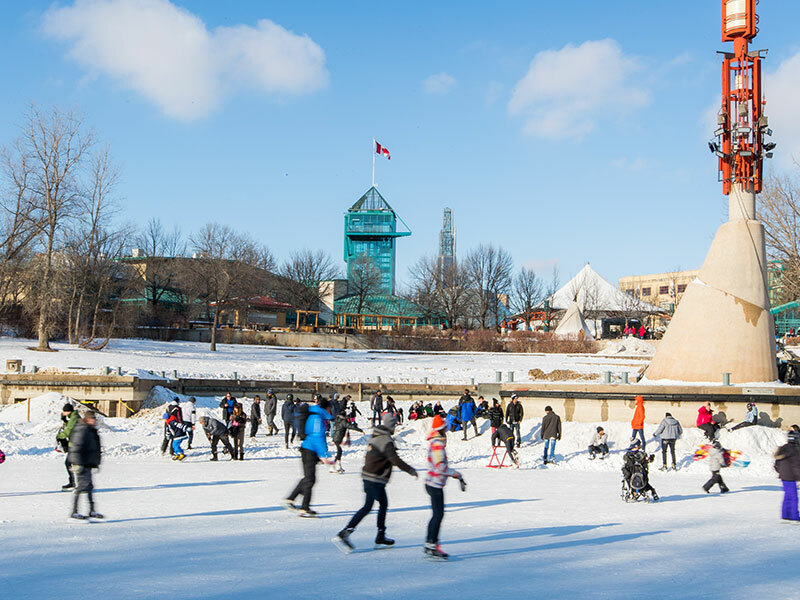 Once frozen over in the winter, this same stretch becomes the Red River Mutual Trail, one of the longest naturally frozen skating trails in the world, featuring other frosty sports such as curling, hockey and more. 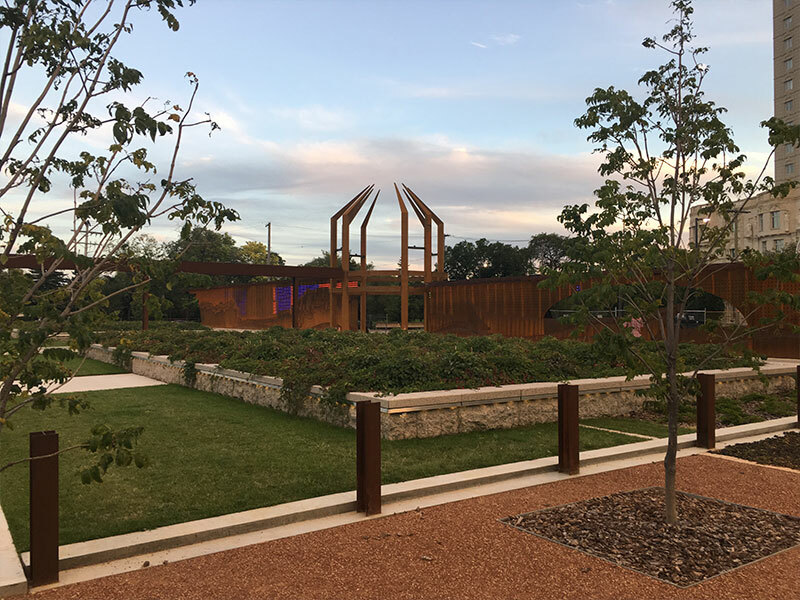 Make sure to pop into one of the trails’ one-of-a-kind warming huts, designed each year by international architects and artists. The Cube offers a stark modern art contrast to the historical building backdrop of the Exchange District. Part sculpture, part open-air-stage The Cube in Winnipeg’s Old Market Square plays host to some of the city’s most popular summer festivals including the Winnipeg Fringe Festival, and the TD Winnipeg International Jazz Festival, along with numerous other free independent shows and performances that run both day and night.